Like us, Therabis wants what’s best for our furry friends. After all, our pets keep us company, improve our moods, and are the most loyal friends we’ll ever have. 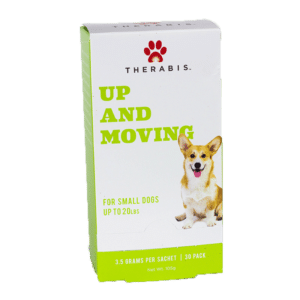 Giving back feels natural, and with a range of terrific CBD treats for dogs designed by specialists vets, Therabis can help you do just that. Founded in 2015 and backed by over 25 years of veterinary expertise, Therabis has been making waves in the CBD-for-pets niche for all the right reasons. Their products are powered by proprietary formulas, and they’re designed to address specific challenges experienced by our beloved pets. The man behind Therabis—the aptly named Dr. Stephen M. Katz—has spent a lifetime researching, developing, and perfecting the products on this page. 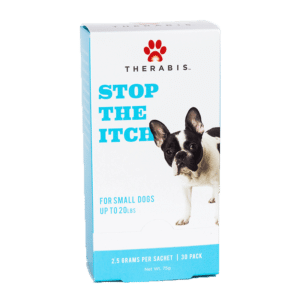 The Therabis brand is synonymous with quality, and you can feel confident that your pet is getting the very best natural relief. 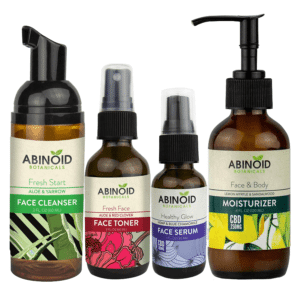 Why Choose Therabis CBD Products? There are many supplements out there that can help improve your pet’s life, and one of the most popular is hemp oil. Therabis has tapped into this popularity and today produces some of the best CBD products for pets available. These include the Calming Supplement for Dogs, which can help your pet relax and unwind. It’s the ideal choice if you want to improve the overall wellness of your pet in a natural, safe way. Another great choice is the Supplement for Dogs with Itchy Skin, which can minimize itchiness and boost your dog's quality of life when taken daily. Finally, their most popular product is the Energy Supplement for Dogs to keep your four-legged friend feeling happy, active, and revitalized. The Therabis CBD for pets products are all specially designed to be palatable so your pet loves the flavor and doesn't need to be forced to consume the supplement. You simply need to follow the serving instructions, mix it into your pet's favorite food, and make sure he or she eats it all. 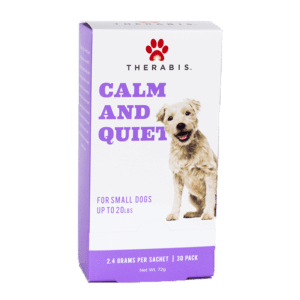 Buying CBD for dogs has never been more popular, but why should you purchase your next Therabis product online? It all comes down to two words: quality and convenience. We’ve created and curated our web shop so that it offers only the best selection of CBD pet supplements around, with a clear and straightforward ordering process. You can browse from anywhere, on any device, and buy with confidence when you’re ready. Remember: CBD is not medication. If your pet suffers from an illness, you should see your vet to receive a diagnosis and the appropriate medication. If your pet doesn't react well to CBD, lower the serving size or stop giving your pet the supplement altogether. Keep your CBD for dogs in a dry and cool place, away from the reach of your pets and children. Our overarching goal here at Healthy Hemp Oil is to become the most consumer-friendly provider of CBD pet products available online. With that in mind, we remain committed to researching and sharing the latest objective information regarding CBD and its potential benefits. This close attention to detail also extends to our selection of CBD for dogs, such as the Therabis calming supplement. It’s incredibly important to us that you feel satisfied with your next CBD purchase, and if you’re ever unsure about anything related to CBD for pets, our friendly team of experts are always on hand to help. Check out the Therabis CBD pet products for sale, or get in touch if you have any questions.